Making a positive first impression is easier when you can smile confidently. At Precise Dental Care, we offer personalized cosmetic dental treatment options to improve the aesthetic of your smile, while improving its health and function. We help you achieve your ideal smile, whether your goals include removing stains on teeth, concealing imperfections, or replacing missing teeth. If you’re looking to achieve a beautiful new smile, contact our office today for your cosmetic dentistry consultation. Before beginning any procedures, Dr. Shruti Mankad discusses options and outlines a treatment plan that caters to your needs. He assesses the current health of your smile and, with the use of digital imaging, allows you to preview your new smile before committing to any procedure. Porcelain Veneers – These thin layers of tooth-colored material cover your teeth, effectively concealing imperfections such as discoloration and damage. 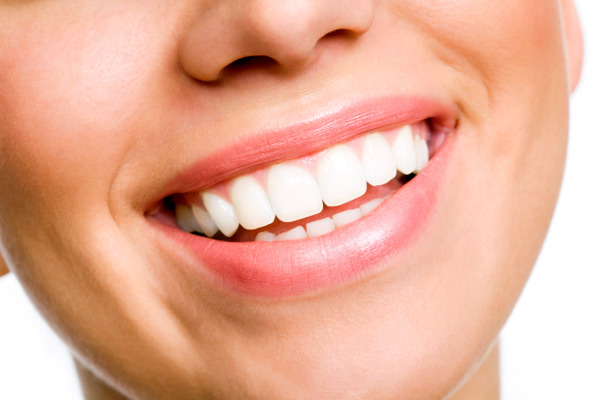 Veneers are color-matched with the shade of your natural teeth to provide a seamless appearance. The shape and size of your teeth can also be altered through this treatment. Porcelain Bridges – When a tooth has been lost or removed, dental bridges address the spaces between existing teeth by using porcelain caps and a pontic (replacement tooth). Bridges can be used to restore more than one tooth and can be affixed to dental implants for conservative treatment. Tooth-Colored Dental Crowns - These prosthetics, like veneers and bridges, are designed to blend in with your natural teeth. Crowns protect individual teeth that have been treated for large cavities and dental trauma. Teeth Whitening – For brighter teeth, professional dental bleach is provided in a take-home kit, allowing patients to brighten their smiles at their leisure. We use an impression of your smile to create these custom trays, which ensures their comfort and effectiveness. Composite Fillings – Teeth that are affected by decay or injury repair teeth without the appearance of metal amalgam. These tooth-colored fillings conceal damage and allow patients to continue smiling confidently. Dental Implants – The gold standard for lasting teeth replacement is dental implants. Titanium posts serve as new tooth roots after teeth have been knocked-out or extraction. Once restorations are affixed to implant posts, you will be able to smile, bite, and chew comfortably, just as you would with your original teeth. Precise Dental Care helps you achieve the beautiful and healthy smile you deserve. Our office is proud to serve patients in the greater Shrewsbury area. Call today to schedule your consultation with Dr. Mankad!